We popped the Doohickey into the Framistat and out popped this Whatchamacallit! Is it fat? is it thin? Is it tall? Is it short? Is it light? Is it heavy? Is it condensed?! is it expanded?! Yes, yes, yes and yes -- It’s all of the above and more! Our resident mad scientist John “Mr. 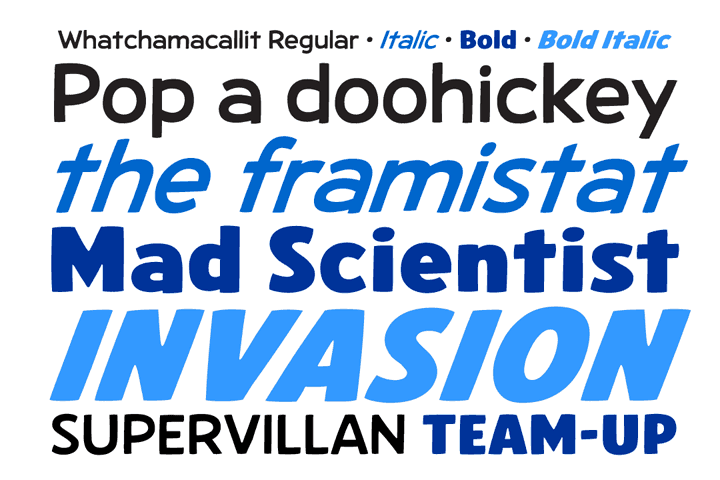 Fontastic” Roshell has developed a single contraption that can handle any design emergency, from crimelords to supervillain team-ups to alien invasions. 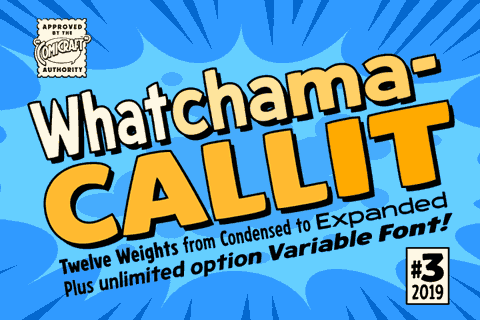 Whatchamacallit is a friendly and readable sans-serif, inspired by some of our all-time favorites -- Gill Sans, Futura, Venus and Antique Olive. But, like its machinery-contraption namesakes Doohickey and Framistat, Whatchamacallit has a lively personality -- the strokes are a little wavy, the ends a bit bulbous, and the circles are like little loaves of bread, rising in the Whatchamacallit's oven... delicious! Whatchamacallit includes twelve versatile weights, as well as a Variable Font which allows you to select from a continuous range of styles from Regular to Bold, Upright to Italic, and Condensed to Expanded. 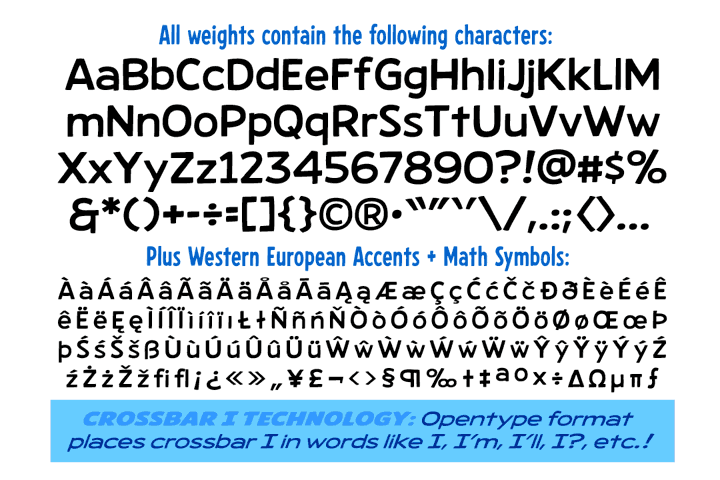 Twelve weights (Condensed, Medium and Expanded widths, each with Regular, Italic, Bold & Bold Italic) with upper and lower case alphabets and Western European accents. 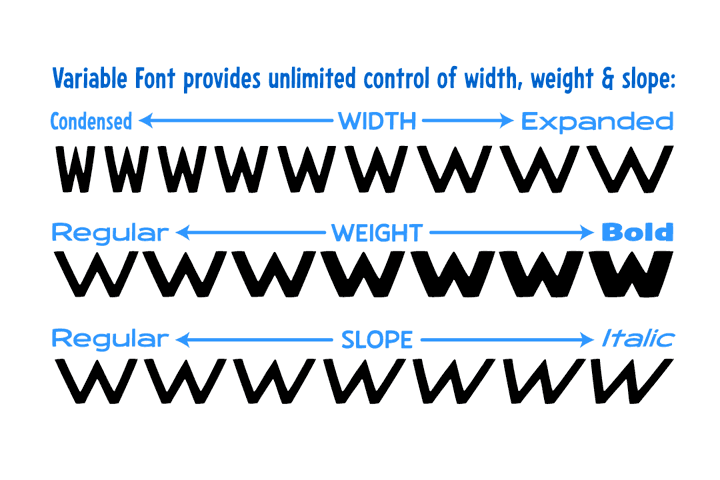 Includes Variable Font for unlimited adjustment from Regular to Bold, Upright to Italic and Condensed to Expanded.